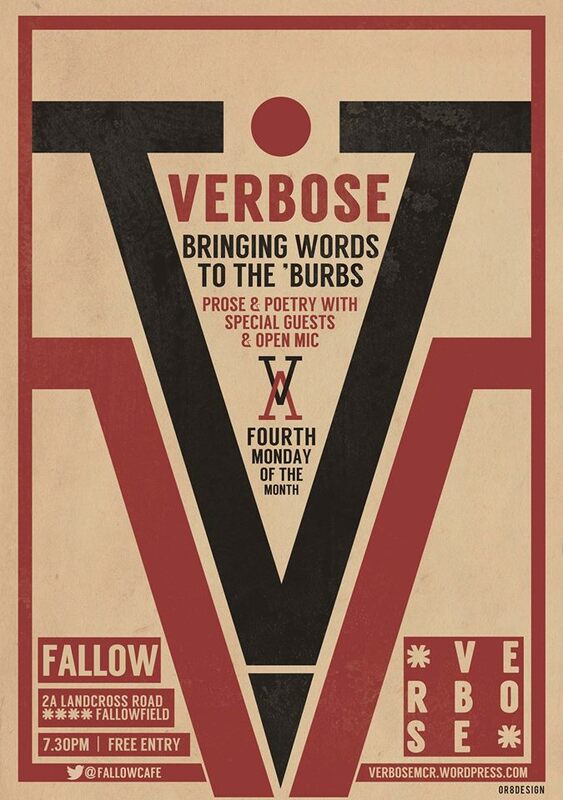 Following standing-room-only events in February and March, live literature night Verbose is back on Monday 24 April, at Fallow Café in Fallowfield, Manchester. Hailed by the media as one of the best spoken word nights in Manchester, Verbose’s headliners are always linked – this time it’s members of The Writing Squad initiative. James Giddings received a Northern Writers award in 2015. His debut pamphlet Everything is Scripted won Templar Poetry’s Book and Pamphlet Award in 2016, and he’s shortlisted for the upcoming Saboteur Awards. Charlotte Wetton won second prize at the StAnza Slam and her pamphlet I Refuse to Turn into a Hatstand is just out with Calder Valley Poetry. James Varney is a writer and theatre maker who has had work published in Ambit, and Gregory Kearns is a poet based Liverpool, published by In The Red 14 and The Lifejacket Anthology. Taking place on the fourth Monday of the month at Fallow Café (2a Landcross Road, M14 6NA), entry is free and doors are at 7.30pm. See verbosemcr.wordpress.com. Open mic slots are three minutes; to perform, email via verbosemcr@gmail.com.